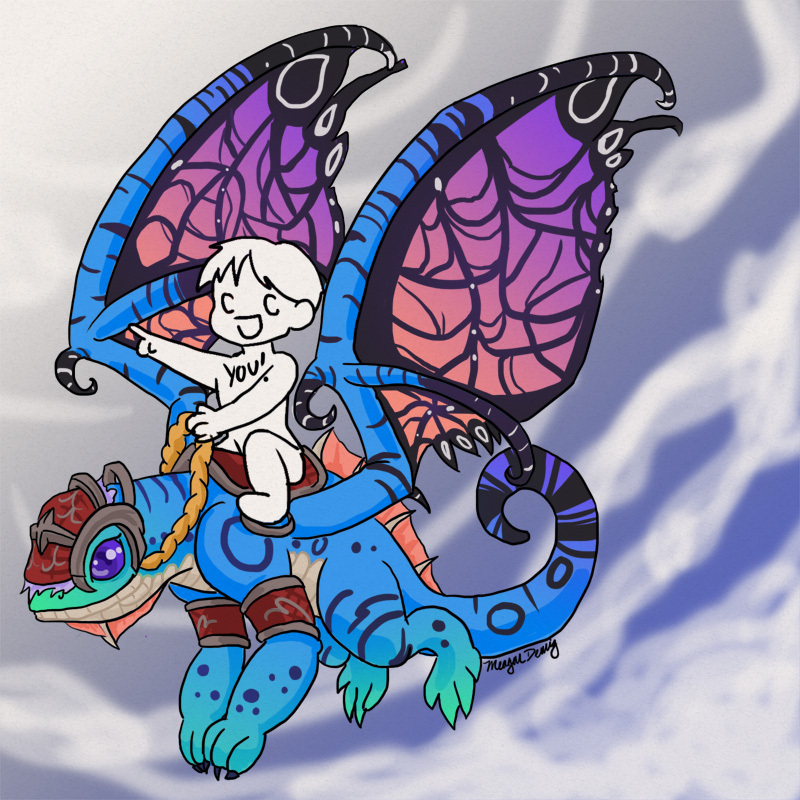 Your Character Riding a Fey Dragon! So, I am very excited about the new Fey Dragon being released to the Blizzard store. Unfortunately, I am flat broke after BlizzCon. Really, we’re eating mostly ramen for the rest of the month. So I thought I’d try something to make a little money to get the mount I want for my birthday. For 5 dollars I will replace that little place holder guy with a drawing of your WoW character, or a friend’s, or any armory you want to link me. You will get a great piece of customized art that would make a wonderful Christmas present for yourself or a friend, and I will be one step closer to riding this guy myself. First come, first served. I will likely only do 12 of these to be able to buy the mount/pet charity bundle for myself, and for Ward. Orders will be taken in the order received in my inbox. Payment done through paypal. Hope to hear from you soon! THIS OFFER IS DONE WITH! Thanks everyone who commissioned me! Me and Ward have our charity packages! The podcast now has it’s own blog! This is probably where I’ll be doing most of my posting from now on. Here’s the song in its final form!